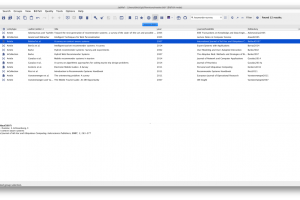 If your line of work requires you to have a bibliography reference database of your own, then you will need a piece of software that allows you to set this up reliably and efficiently so you can be more organized with your work and build the database according to your needs. This application makes use of the LaTeX format, and it works with the Java platform. The interface on this app is easy to understand, and it’s intuitive enough to become more and more familiar as you work with it. 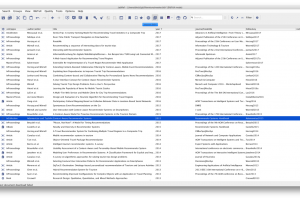 What’s more, all the information you add to the bibliography will be stored in the BibTeX database. 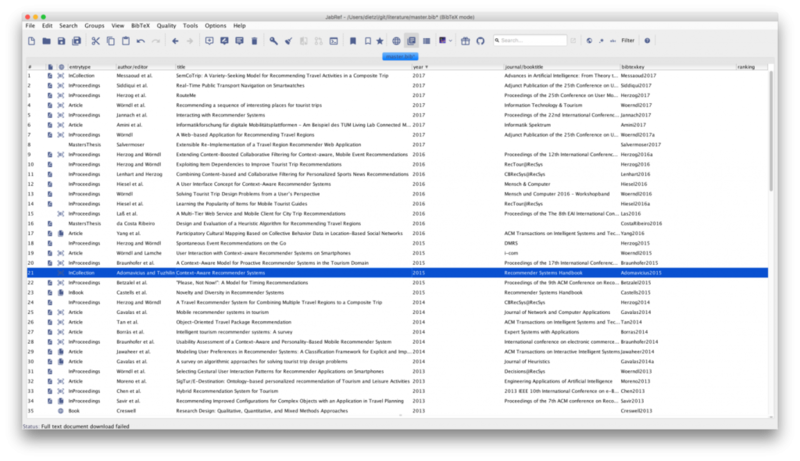 When you set out to create your own database, you will be able to add entries such as book, booklets, articles, among many other categories. Also, you’ll be able to provide all the essential information from the author name to timestamps and everything in between. It allows you to attach relevant documents to the information you’re providing as well, and overall it enables you to use many different features that make the task super easy. JabRef is licensed as freeware for PC or laptop with Windows 32 bit and 64 bit operating system. It is in other servers category and is available to all software users as a free download. Transfer files via TFPT - ..